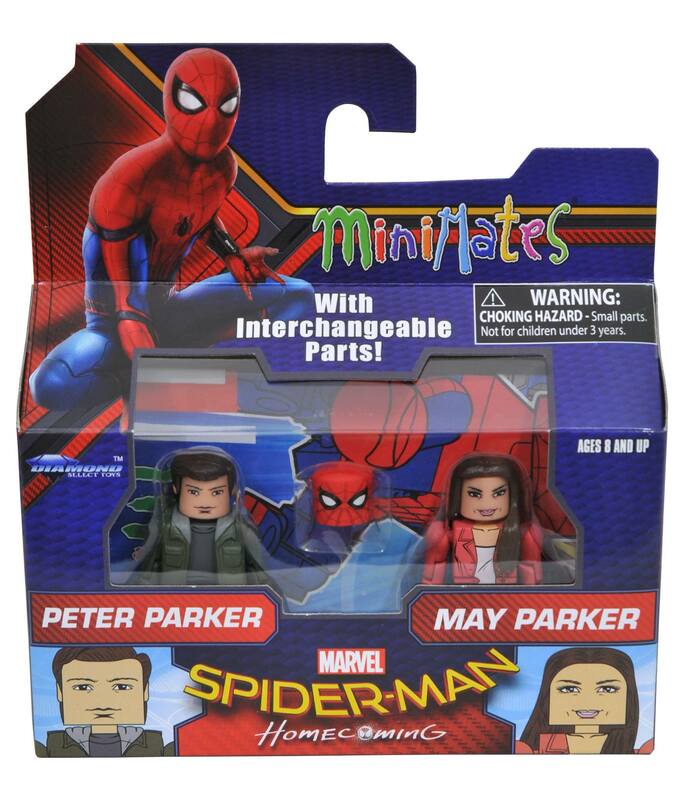 Here’s a look at the upcoming Spider-Man: Homecoming minimates for comic shops featuring a gaggle of Spideys plus a few enemies from Art Asylum and Diamond Select Toys. 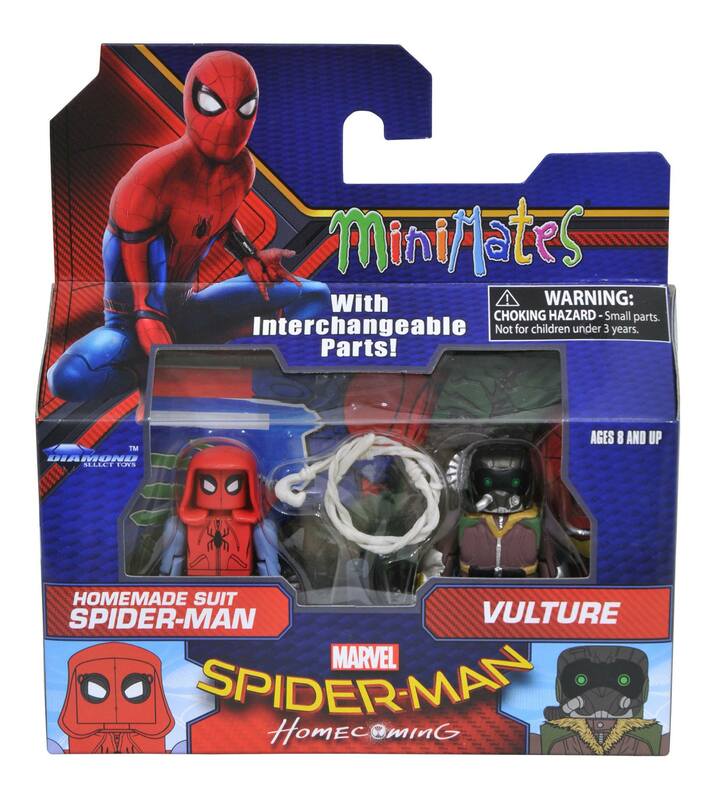 These comic shop only Spider-Man:Homecoming minimates will come in the standard height and will also feature several accessories for each characters. I’m totally looking forward to get my hands on Michael Keaton’s character Vulture. Check out the respective two-packs and what they come along with. I’m really surprised they didn’t put Shocker in a costume and instead opting to give him a more ‘street criminal’ look. Would have been cool if they gave him a costume. Really. 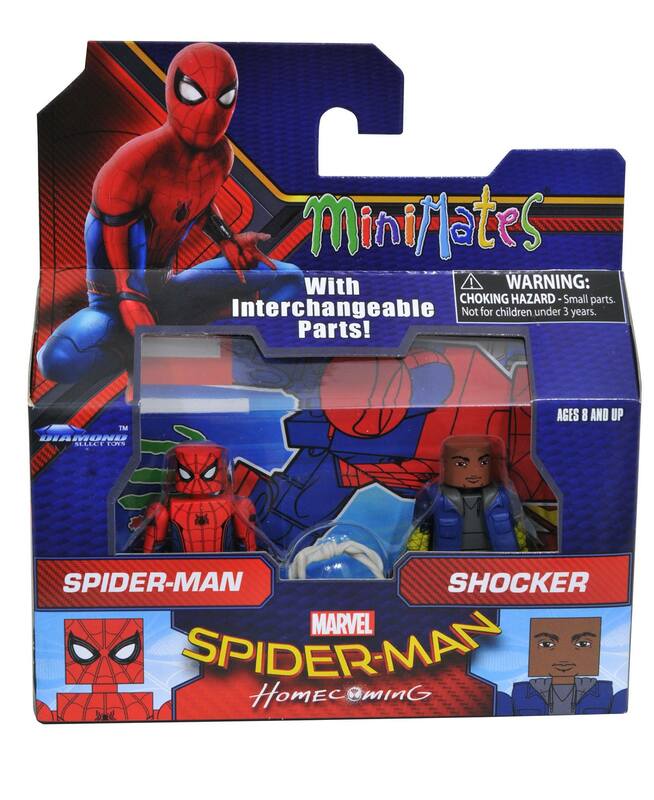 The Stark-made Spider-Man costume from this set of Spider-Man:Homecoming minimates does look like it has some cool accessories too. We also have Civilian Peter Parker (played by Tom Holland) and Hot Aunt May (played by Marisa Tomei). Oh the fun we can have with that headpiece for Civvie Parker. The Tinkerer is one classic Marvel villain I didn’t expect to see in this film. Maybe its going to explain why there’s so many tech lying around and getting repurposed in this film. Much like how HYDRA from Avengers: Age of Ultron salvaged tech from the Chitauri during the ‘Battle of New York’. You gotta love all those battle-damaged figures that keeps popping out for any and all toylines. 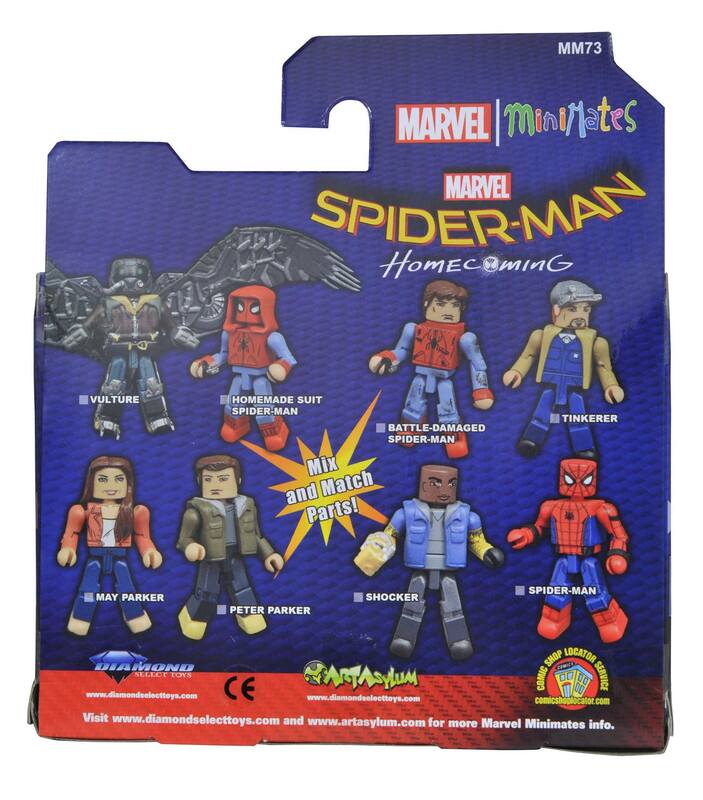 Below is a look at the back part of the packaging which also breaks down which characters go with whom. 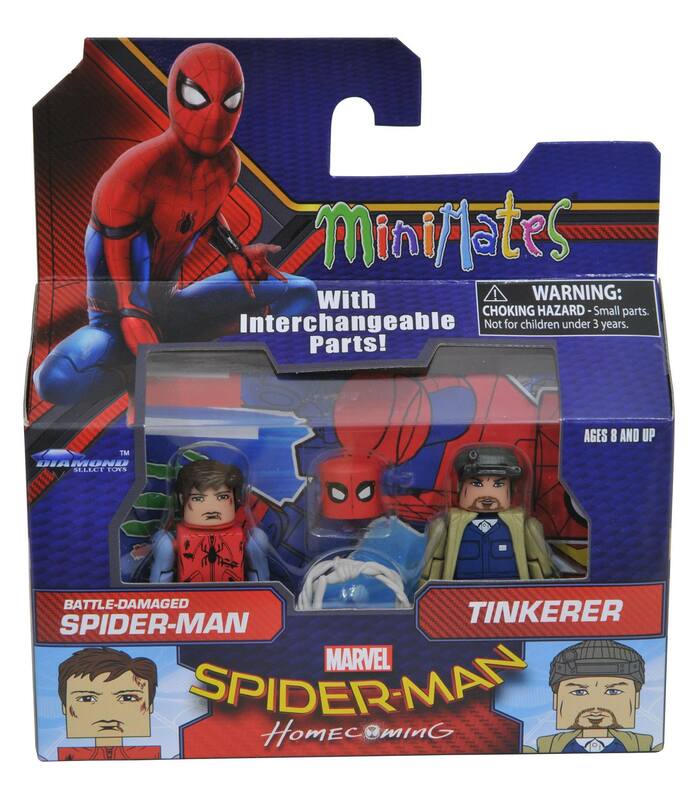 You can get your hands on these Minimates when they arrive in comic book stores May 17th. POLL: Liza Soberano Could be the New Darna. Good or Bad?